Restaurant managers David and Mary un-wrapping the stainless steel kitchen walls! Drywall by Zachary Carney...love it! The siding on West and Rodick Streets is almost complete! Hope to have the scaffolding down by mid next week. 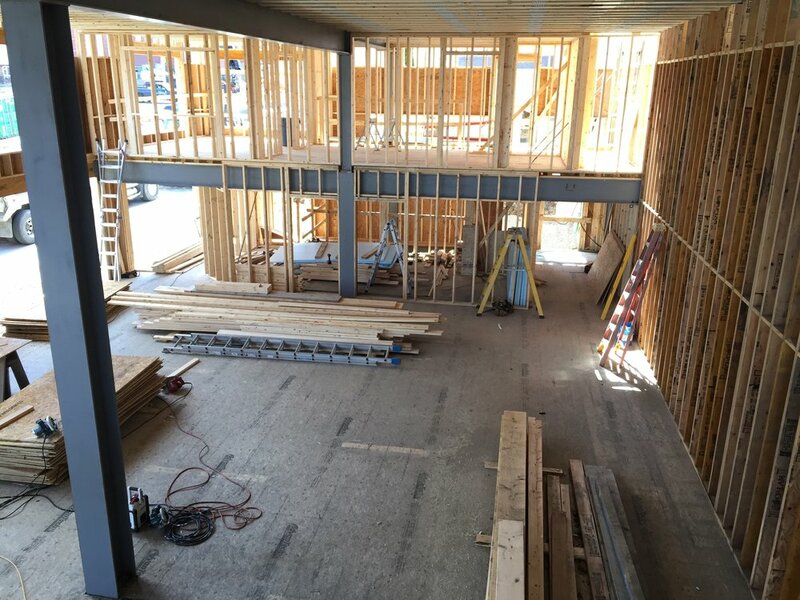 On site today we have...plumbers, electricians, fire protection, insulation, carpenters, siding, equipment and refrigeration consultants plus a visit from code enforcement! Crazy! Wow! Two weeks ago we had a steel frame. Today we are setting roof trusses. Thats over 9000 square feet of building in two weeks! Thank you to everyone who made this happen! Especially Aroostook Trusses of Maine! 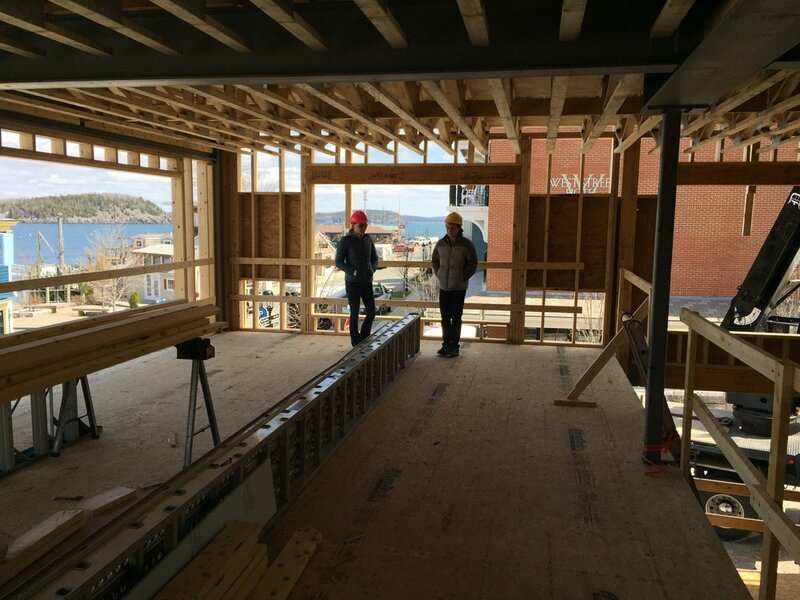 Views looking out to the harbor and down into the future dining room. 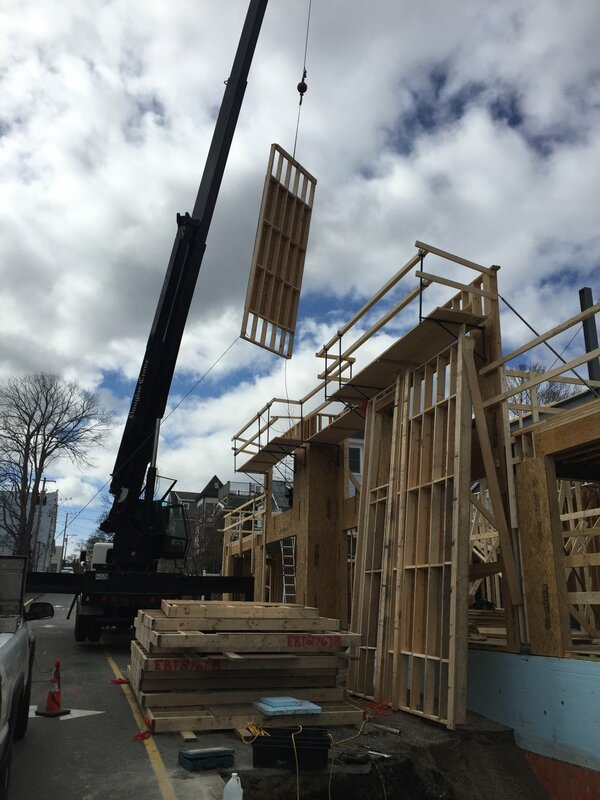 Third floor wall panel going up! Subfloor for the third floor...nice view! Whats the third floor for? Answer: Private residence! Unless we turn it into a vacation rental. Trusses for the third floor! Second floor wall panels arrived today. 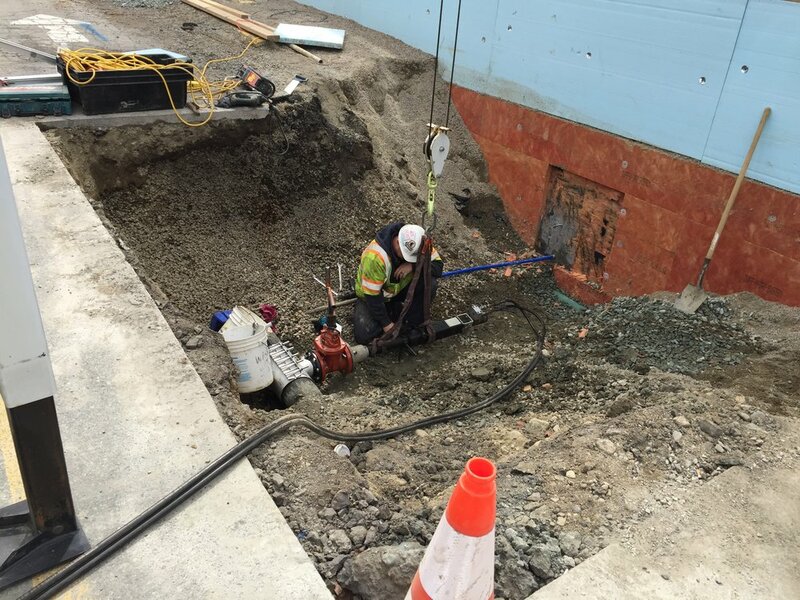 While they were being lifted into place another crew made the connections for the two water lines. Looking down from the mezzanine into the dining room. That's Jessica standing where the new bar will be located! Thank you Carl Douglas from Douglas Crane!